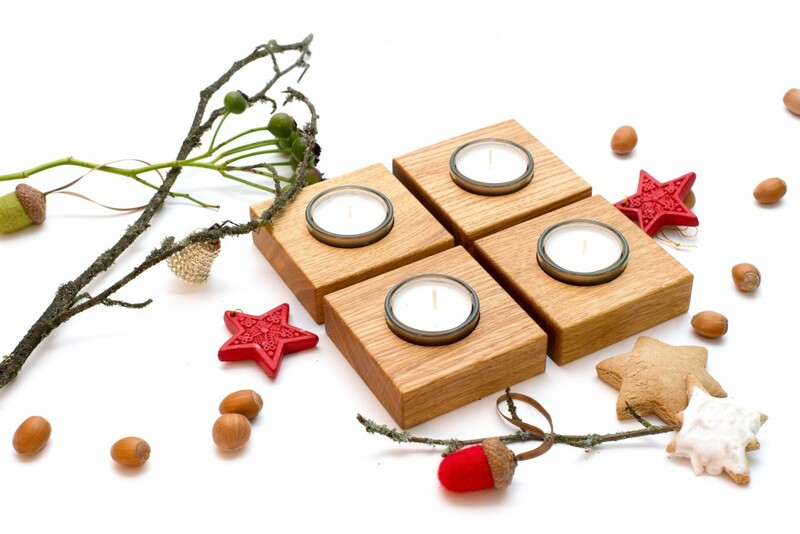 Our candle holders made from solid oak wood create an atmosphere of calm in your home! 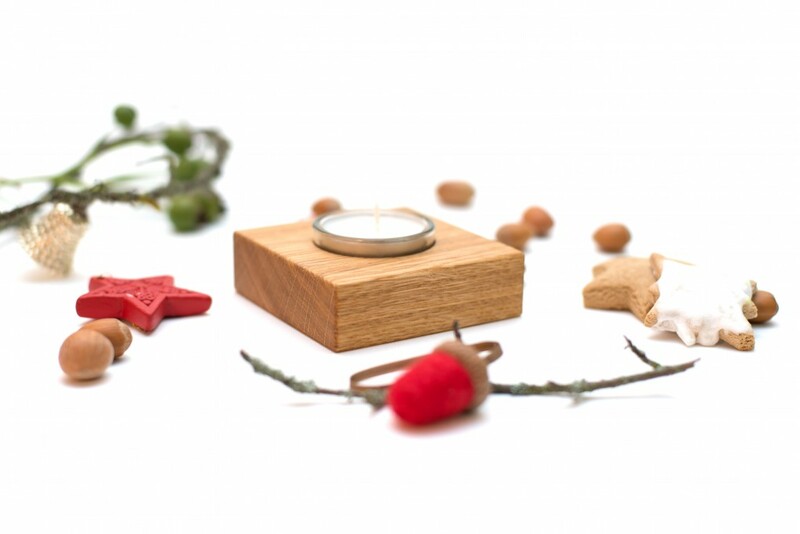 Thanks to their unembellished design, they can serve as anything from an Advent wreath in the kitchen to that note of ambience in the bathroom. 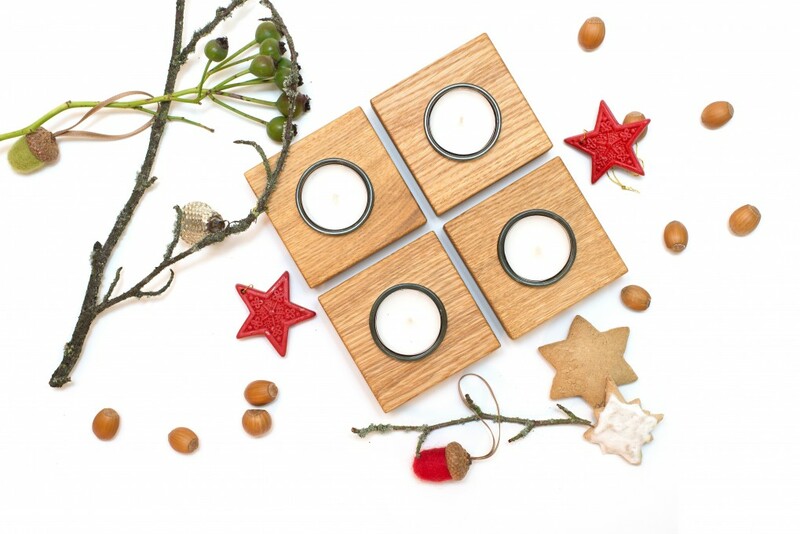 The round opening in the solid oak wood square secures a glass candle holder in the slot. 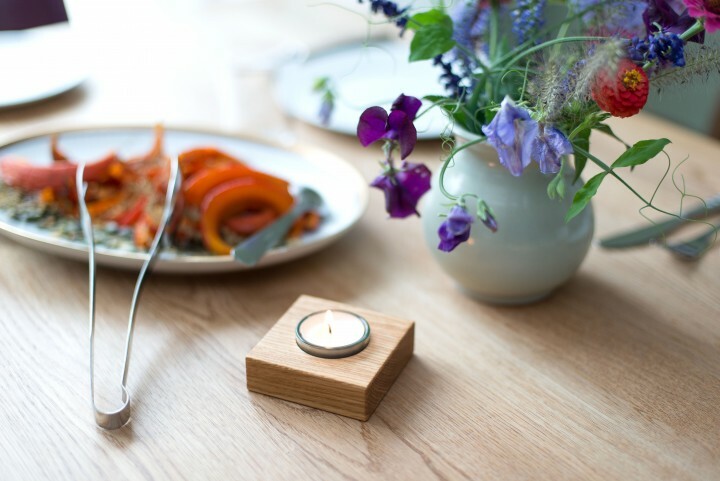 The glass protects the wood from the flame and minimises the fire hazard. 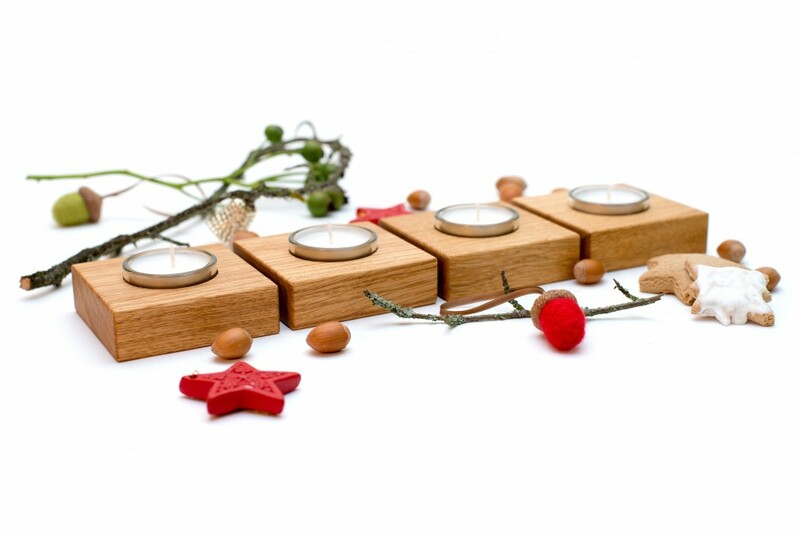 Their elegant design makes these tea lights the perfect accessory - they literally shine wherever you put them!